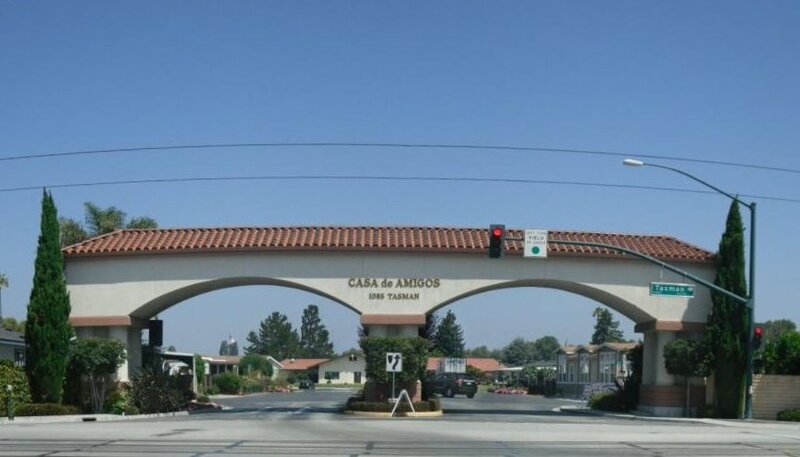 Welcome to Casa de Amigos, a 915 site manufactured home family community offering generous amenities, and beautiful grounds to include spacious sites with an eye for detail in luxury quality manufactured homes. Feel free to explore the amenities of our property, area highlights and homes for sale. If you are a resident of our community, click here to log into the private side of the web site. If you have not been notified of your login name and password, please complete the Login Request Form. DISCLAIMER: This website is an open forum for dealers, resident clubs and other non-affiliates. Casa De Amigos Mobilehome Park does not control or review the contents posted on the website and takes no responsibility for the accuracy of the data and information posted by non-affiliates, including information regarding space rent. Please contact the Park directly if you have questions regarding space rent, the amenities offered at the park, the residency documents or any other park matters.